Moscow, April 8: Russia on Monday called for calm on all sides in the Libya conflict after at least 32 people were killed in fighting near the capital Tripoli. Kremlin spokesman Dmitry Peskov said Moscow was calling "on all sides to reject actions that could provoke bloodshed in battle and the deaths of civilians". Russia's deputy foreign minister Mikhail Bogdanov said Moscow was in contact with all sides in the conflict. 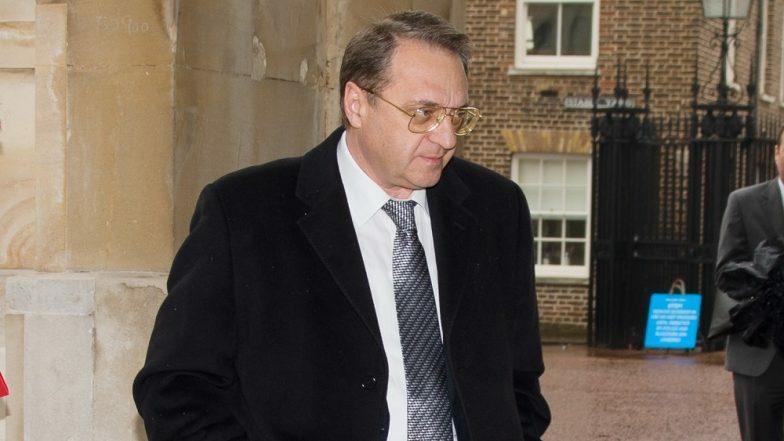 "We talk with everyone: with the west, the east and the south," Bogdanov told news agency RIA Novosti. "We call on everyone for a political solution." Fierce clashes raged on Sunday near Tripoli between strongman Khalifa Haftar's fighters and troops loyal to the internationally recognised Government of National Accord (GNA). Escalating Libya Conflict Prompts International Alarm. The two sides also exchanged air strikes after Haftar launched an offensive Thursday to seize the capital. Libya descended into chaos following the 2011 overthrow of Moamer Kadhafi and a bitter rivalry has emerged between Tripoli-based authorities and Haftar's supporters in the east of the country. Moscow has denounced Kadhafi's overthrow, insisting that the NATO-backed uprising only led to new crises.